control over your entire fleet of cars, trucks and other vehicles from a central control point. 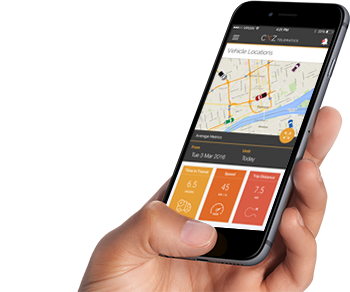 Track any of your connected vehicles in real-time, and view the vehicle's location history and previous destinations. Stay on top and keep track of your engine's performance. Track your connected vehicle's fuel consumption and save up to 15% a year in fuel and maintenance costs. 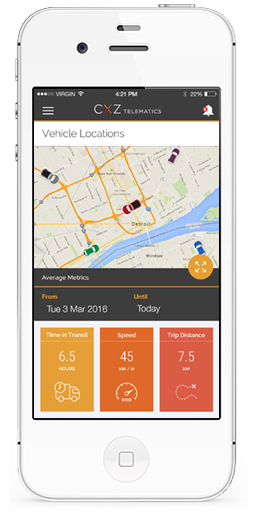 CXZ Telematics allows you to keep track of how far your vehicle has travelled. Track your vehicle's battery life to stay on top it before you're caught in an unfortunate situation. Cloud based technology & cellular mobile connectivity is used to track your entire fleet & give you information & key data access from a central control point. CXZ Telematics offers a live, web-based data screen, giving you real time information when and where you need it, and customised reporting to meet your specific needs. CXZ Telematics is an extremely powerful system. It simultaneously tracks – in real time – all key performance indicators in your vehicles. CXZ Telematics offers a fully customised solution designed to give you maximum control, productivity increases and cost savings over your entire fleet. CXZ Telematics has a number of features that will benefit your business which include improved productivity, increased vehicle safety, OH&S oversight, and many more! CXZ Telematics helps improve driver efficiency, improve productivity, increase safety and helps operators become more efficient.